Good design is timeless, but great design is always ahead of its time. 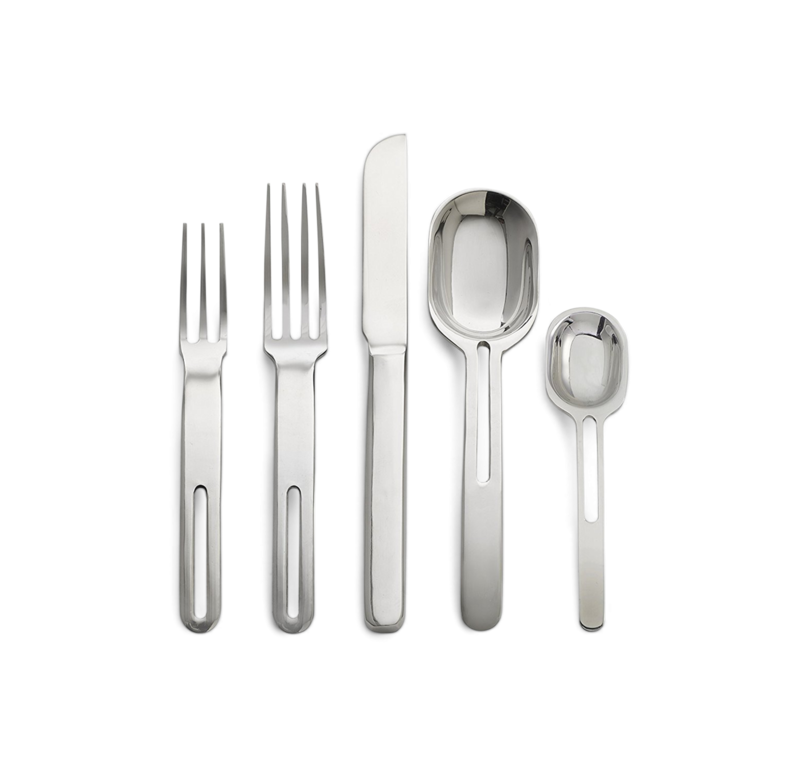 Created by architect and designer Gae Aulenti, one of the few women who have put their mark on Italy’s post-war design history, Aulenti Flatware dates back to 1970. (Un)surprisingly modern, the set of five pieces of cutlery features a minimalist aesthetic and ultra-clean lines that reinterpret the everyday item in a refined way. Made of stainless steel, the two spoons, two forks, and one knife are not only gleaming and elegant, but they are also dishwasher safe. A perfect dinnerware choice for design lovers, this set is a part of Design Memorabilia’s Italian collection which honors the very best of the country’s designers. Gessato is an authorized retailer of Design Memorabilia products. We purchase all of our Design Memorabilia products directly from the company in order to bring you genuine items that represent the best in contemporary design. Every Design Memorabilia product in the Gessato shop is authentic, comes with official brand packaging, manufacturer’s warranty (where applicable), and is sold with Design Memorabilia's authorization.